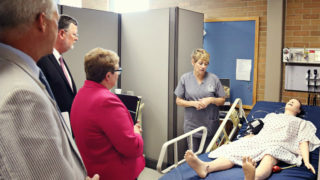 Today, Pennsylvania Department of Labor & Industry (L&I) Secretary Jerry Oleksiak and Deputy Secretary for Workforce Development Eileen Cipriani toured Pennsylvania Highlands Community College, and participated in a local business roundtable in Johnstown, highlighting Governor Tom Wolf’s PAsmart initiative in job training programs and STEM (science, technology, engineering and mathematics) education to help job seekers obtain good, middle-class jobs in 21st century careers. PAsmart, a first-of-its-kind $30 million investment, is a new way of thinking about job training and workforce development by providing targeted funding for apprenticeship programs, STEM education, computer science, and more, so students and workers get the training and skills needed for in-demand, middle-class jobs. 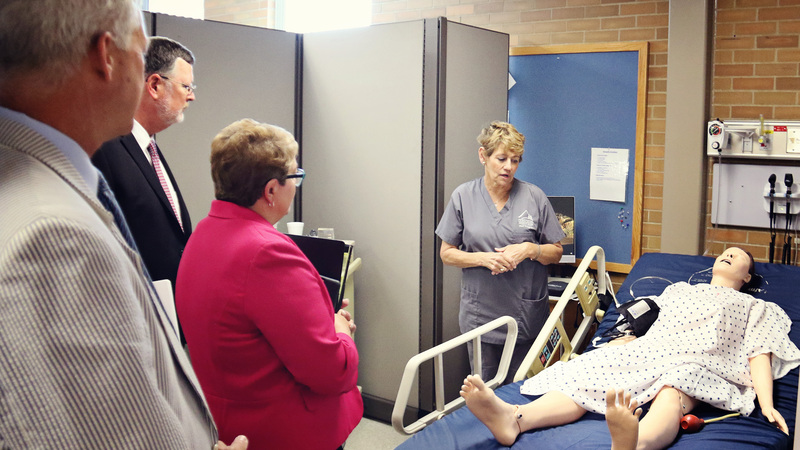 Secretary Oleksiak and Deputy Secretary Cipriani toured the Pennsylvania Highlands Community College health care program and met with students and educators. 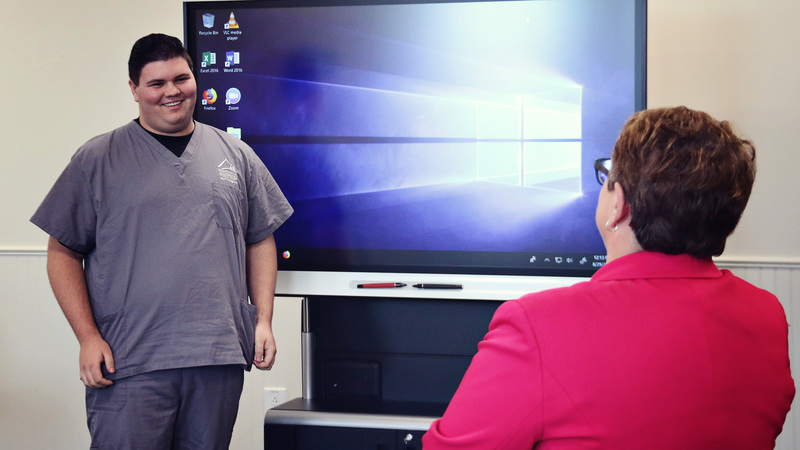 The college recently approved a new Patient Care Technician certificate program that will be offered to students this fall. 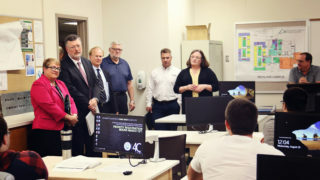 Wolf Administration officials also visited the engineering tech and computer science labs. “Education and training programs like those offered at Pennsylvania Highland Community College that rely on cooperation between local businesses, educators, and local government officials to train and upskill the regional workforce provide positive benefits to employers and job seekers alike,” said Cipriani. After the tour, the secretary and deputy secretary sat down with Rep. Bryan Barbin, Cambria County President Commissioner Tom Chernisky and representatives from Pennsylvania Highlands Community College, Cambria Regional Chamber of Commerce, Convergys, Goodwill Industries, Forest Hills School District, Johnstown Area Regional Industries, Johnstown Welding and Fabrications Inc., PA CareerLink® Cambria County, North American Hoganas, Southern Alleghenies Workforce Development Board, and Riggs Industries to discuss workforce development initiatives. Pennsylvania Highlands Community College is located in Johnstown with locations in Blair, Cambria, Huntingdon, and Somerset Counties. 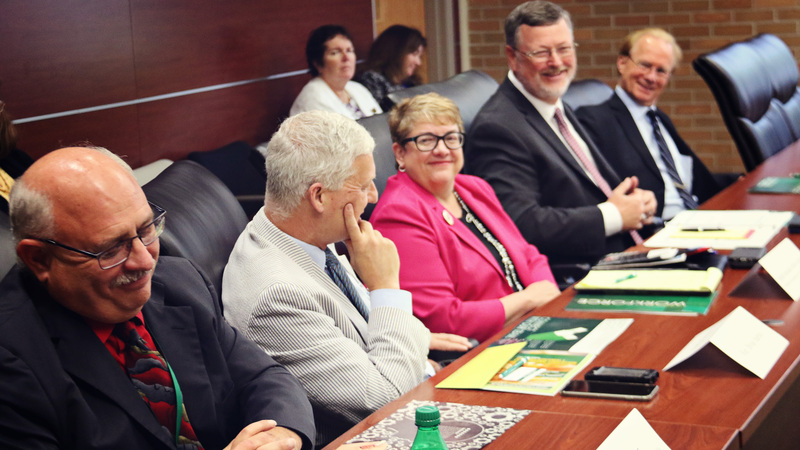 Pennsylvania Highlands provides academic programs designed to prepare students for entry into the workplace or to transfer and continue their education at other higher education institutions. 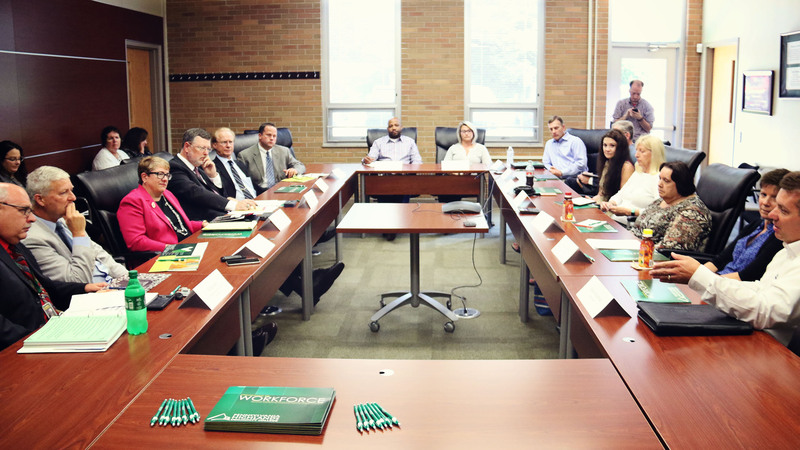 Pennsylvania Highlands works closely with businesses and industries to provide workforce training and continuing education opportunities to employees in the region. 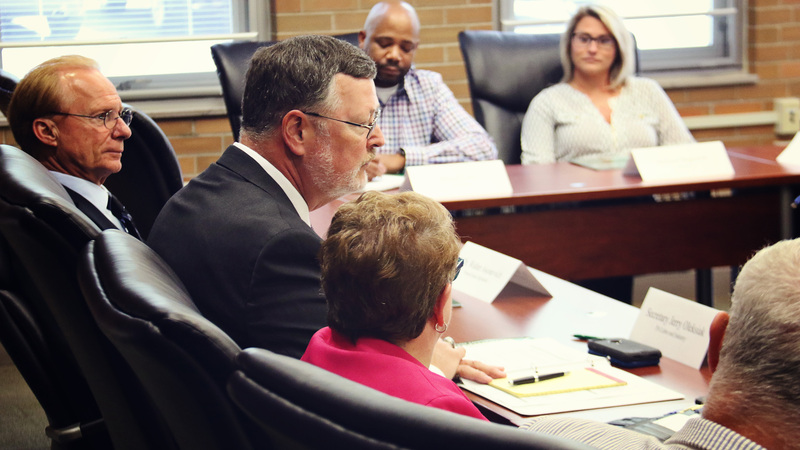 Last month, the governor signed an executive order to cut red tape and improve coordination between several state agencies to more effectively deliver workforce development services to Pennsylvanians. Under the executive order, the Pennsylvania Workforce Development Board, the governor’s private sector policy advisor, will provide recommendations on the distribution of the $30 million in PAsmart funding, which will be driven out through competitive grants. This collaboration will help to ensure the investments meet employers’ need for skilled workers and that workers are gaining the skills for good, middle-class jobs that will grow Pennsylvania’s economy.